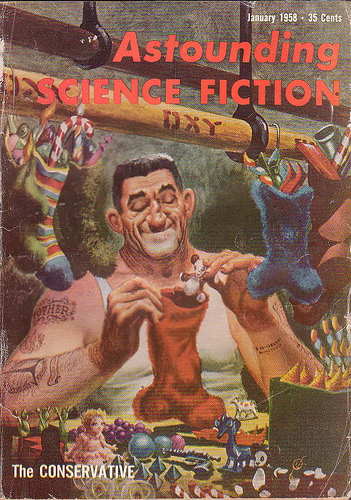 Magazine cover for original publishing of Frank Herbert’s Cease Fire – Astounding Science Fiction, January, 1958. Cover art for the original magazine including Frank Herbert's Cease Fire - the magazine was just 35 cents. This entry was posted on December 12, 2010 by frankherbertsceasefire. It was filed under Science Ficiton and was tagged with Dune, Frank Herbert, Sci-Fi, Science Fiction, SyFy, war story. Cease Fire is a short story originally published in January 1958's edition of Astounding Science Fiction Magazine, and written by the world renown author of the Dune series, Frank Herbert. This short story is now being made into a short student film, adapted for the screen and directed by Jacob Collins. Text from "Cease Fire" used by permission of Herbert Properties, LLC. Follow CEASE FIRE on Facebook! GooglePlus Frank Herbert's Cease Fire! 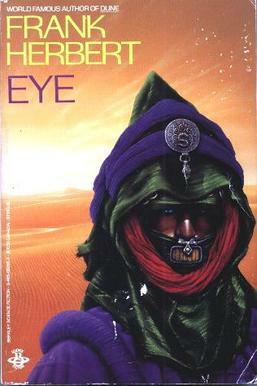 The cover of the short-story collection, Eye.